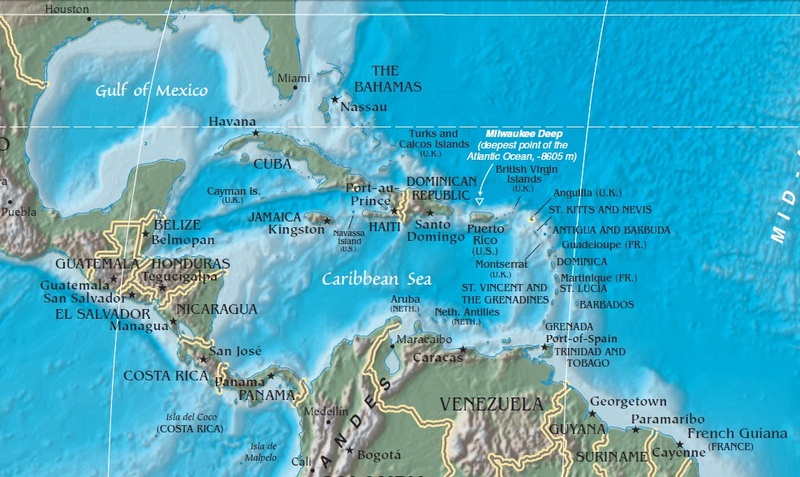 What is the Caribbean Sea Commission? The Caribbean Sea Commission (CSC) was created in 2006 under the auspices of the Association of Caribbean States (ACS), through the Ministerial Council Agreement 6/06 entitled ‘Creation of the follow-up commission for the Caribbean Sea Initiative’. The CSC was created with the objective of promoting and contributing to the sustainable development of the Caribbean Sea for present and future generations. Specifically, the CSC aims to promote the cooperation and coordination of actions related to the Sustainability of the Caribbean Sea The establishment of the CSC reflects the commitment of the ACS Member States to the projection and preservation of the common patrimony of the Caribbean Sea. The sustainability of the Caribbean Sea is threatened by a variety of on-going issues such as overfishing, pollution and habitat degradation, as well as emerging critical issues, such as the unprecedented inundation of the sargassum seaweed, as well as the spread of invasive species, which both present serious hazards to the economic, social, and cultural fabric of the Caribbean. Many of these issues are multi-national in nature, as such addressing them in a coordinated and cooperative manner offer the best possibility of management success. What is the purpose of the CSC? Processes would be regular and transparent. The Caribbean Sea Commission (CSC) was created in 2006 under the auspices of the Association of Caribbean States (ACS), through the Ministerial Council Agreement 6/06 entitled ‘Creation of the follow-up commission for the Caribbean Sea Initiative’. The CSC was created with the objective of promoting and contributing to the sustainable development of the Caribbean Sea for present and future generations. The establishment of the CSC reflects the commitment of the ACS Member States to the protection and preservation of the common patrimony of the Caribbean Sea. Following the productive chairmanships of the CSC by first Barbados, and then Costa Rica, the current chair the Dominican Republic with has sought to consolidate and build on past progress towards activating the CSC. Under the guidance of the CSC board and member states the Office of the Secretary General (OSG) has reinvigorated the CSC between 2013 and 2016. Build the ability of the CSC to provide critical scientific and legal advice to policymakers through its sub-commissions. More specifically the CSC has completed the following notable activities. Following the Board meeting of the CSC held on September 20th 2103, and the 13th meeting of the CSC it was agreed that a consultant would be contracted to examine the implications of receiving “Special Area” designation. In June 2014, Mrs Judy Daniel was contracted as a consultant to complete a report titled “The Legal, Financial and Economic implications of achieving ‘Special Area’ Status”. Following the 3rd board meeting of the CSC held on 14th September 2015, it was decided that the CSC would recruit a Programme Coordinator. Following advertisement and internal selection, a coordinator was recruited starting on the 15th of November 2015 for a period of one year. 1st Symposium of the Caribbean Sea Commission entitled “Challenges, Dialogue and Cooperation towards the Sustainability of the Caribbean Sea”. The Symposium welcomed 116 Participants, from 18 States within the Greater Caribbean Region, and representative of 26 National, Regional and International Organizations. This symposium brought together scientists, policymakers, institutions and members of the diplomatic core to discuss the issues of Sargassum seaweed, Costal erosion, and the lionfish. This symposium featured presentations, from regional experts in the above issues, and interactive discussions on how the CSC can assist in strengthening coordination and cooperation in response actions and research. The Symposium resulted in the Communiqué entitled Main Conclusion of the I Symposium, which had subsequently been circulated to ACS Members, Associate Members, Observers, Founding Observers and Participants, and resulted in Ministerial agreement 10/16 which recognised the I Symposium 0f the Caribbean Sea Commission. This Meeting brought together nationally nominated Legal Experts from Nicaragua, Costa Rica, Colombia and Jamaica. The meeting featured a presentation by Dr Judy Daniel (the Consultant) on the outcomes of the consultancy. Meeting discussions were centred on articulating the way forward for the attainment of Special Area Status, and the reporting of progress to the United Nations. The Sub-commission agreed that the CSC should move forward with a ‘working concept’ of special area instead of a fixed definition. Furthermore, the role of this sub commission as an advisory body to the ACS and member’s states was articulated, further clarifying that the sub-commission does not intend to act as a supranational body. These in addition to other activities highlight the reinvigoration process that has occurred in the tenure of the SG. These activities have laid the groundwork for a number of notable projects including. This Data and information centre aims to improve the management of specific emerging critical issues related to the sustainability of the Caribbean Sea, through the sharing of management experiences, best practice legislation project research data, and improved access to regional experts. The data Centre will be used to 1. Improve regional awareness of project/management efforts 2. Gather management information to inform policy, and encourage regional synergistic policymaking. Currently the CSC is developing a TOR to seek consultants to assist in the development of the website for the data an information centre.